The Rio Grande Symposium on Advanced Materials (RGSAM) is a general technical meeting of materials researchers in the Rio Grande geographic region. It is an outgrowth of the Joint Technical Meetings of the New Mexico Section of the American Ceramic Society and the New Mexico Section of the Materials Research Society initiated in 1989. These meetings, sub-titled “Ceramics and Advanced Materials: Symposia and Poster Session,” proved to be quite popular among materials researchers in the Rio Grande geographic region. Attendance typically ranged between 75 and 150 people presenting 30 to 50 presentations, which were frequently used as a local warm-up for national meetings. An important aspect of this symposium is that it has been, and continues to be a venue for presentations by students from regional universities. In 1997, the Albuquerque Chapter of ASM International joined with the NM Section of the American Ceramics Society to host the meeting which began its new name, “The Rio Grande Regional Symposium on Advanced Materials.” Reflecting the multidisciplinary nature of materials research presented at RGSAM, other societies soon joined to host the symposium. The New Mexico Chapter of the American Vacuum Society organized the RGSAM in 2013, followed by the Central New Mexico Local Section of the American Chemical Society in 2015. This meeting hopes to reach out to a broad base of support among local materials societies and will be a focal point for the exchange of technical information in the Rio Grande geographic region well into the 21st century. 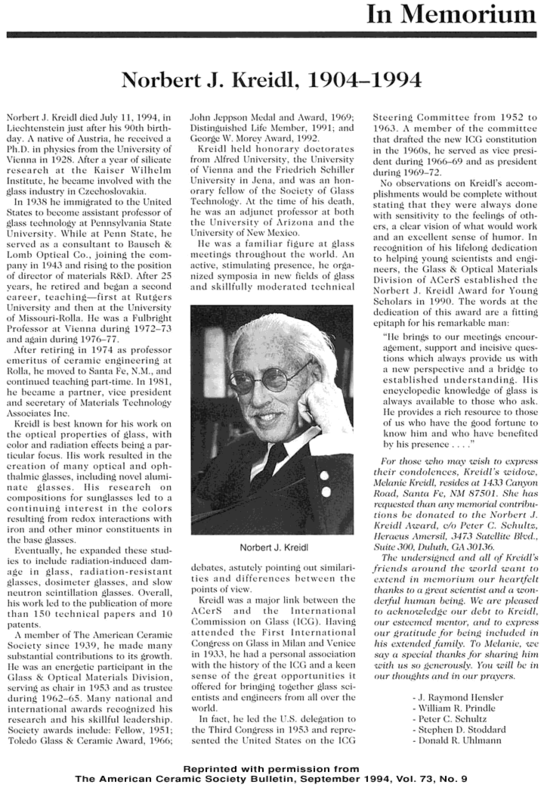 At the core of this meeting is the Kreidl Memorial Lecture, honoring the career achievements of Norbert Kreidl, a remarkable and indefatigable glass scientist who spent his final years as a consultant based in Santa Fe, New Mexico. The Kreidl Lecture has featured several prominent ceramists and glass scientists. The physical, electronic, mechanical, and chemical connections that materials make to one another and to the outside world are critical. Just as the properties and applications of conventional semiconductor devices depend on these contacts, so do nanomaterials, many nanoscale measurements, and devices of the future. We discuss the important roles that these contacts can play in preserving key transport and other properties. Initial nanoscale connections and measurements guide the path to future opportunities and challenges ahead. Band alignment and minimally disruptive connections are both targets and can be characterized in both experiment and theory. I discuss our initial forays into this area in a number of materials systems. 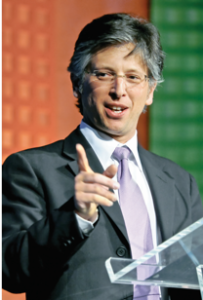 Paul S. Weiss holds a UC Presidential Chair and is a distinguished professor of chemistry & biochemistry and of materials science & engineering at UCLA. He received his S.B. and S.M. degrees in chemistry from MIT in 1980 and his Ph.D. in chemistry from the University of California at Berkeley in 1986. He was a postdoctoral member of technical staff at Bell Laboratories from 1986-88 and a visiting scientist at IBM Almaden Research Center from 1988-89. He served as the director of the California NanoSystems Institute and held the Fred Kavli Chair in NanoSystems Sciences at UCLA from 2009-14. Before coming to UCLA, he was a distinguished professor of chemistry and physics at the Pennsylvania State University, where he began his academic career in 1989. His interdisciplinary research group includes chemists, physicists, biologists, materials scientists, mathematicians, electrical and mechanical engineers, computer scientists, clinicians, and physician scientists. They focus on the ultimate limits of miniaturization, exploring the atomic-scale chemical, physical, optical, mechanical, and electronic properties of surfaces, interfaces, and supramolecular assemblies. They develop new techniques to expand the applicability and chemical specificity of scanning probe microscopies. They apply these and other tools to study self- and directed assembly, and molecular and nanoscale devices. They advance nanofabrication down to ever smaller scales and greater chemical specificity to operate and to test functional molecular assemblies, and to connect these to the biological and chemical worlds. Two major themes in his laboratory are cooperativity in functional molecules and single-molecule/assembly biological structural and functional measurements. He has written over 400 publications, holds over 30 patents, and has given over 700 invited, plenary, keynote, and named lectures. Weiss has been awarded a National Science Foundation (NSF) Presidential Young Investigator Award (1991-96), the Scanning Microscopy International Presidential Scholarship (1994), the B. F. Goodrich Collegiate Inventors Award (1994), an Alfred P. Sloan Foundation Fellowship (1995-97), the American Chemical Society (ACS) Nobel Laureate Signature Award for Graduate Education in Chemistry (1996), a John Simon Guggenheim Memorial Foundation Fellowship (1997), a NSF Creativity Award (1997-99), the ACS Award in Colloid and Surface Chemistry (2015), the ACS Southern California Section Tolman Medal (2017), and the ACS Patterson-Crane Award in Chemical Information (2018), among others. He was elected a fellow of: the American Association for the Advancement of Science (2000), the American Physical Society (2002), the American Vacuum Society (2007), the ACS (2010), the American Academy of Arts and Sciences (2014), the American Institute for Medical and Biological Engineering (2016), the Canadian Academy of Engineering (2017), and an honorary fellow of the Chinese Chemical Society (2010). He was also elected a senior member of the IEEE (2009). He received Penn State’s University Teaching Award from the Schreyer Honors College (2004), was named a nanofabrication fellow at Penn State (2005), and won the Alpha Chi Sigma Outstanding Professor Award (2007). He was a visiting professor at the University of Washington, Department of Molecular Biotechnology (1996-97) and Kyoto University, Electronic Science and Engineering Department and Venture Business Laboratory (1998 and 2000), and a distinguished visiting professor at the Kavli Nanoscience Institute and the Joint Center for Artificial Photosynthesis at Caltech (2015). He is a visiting scholar at the Kavli Institute for Bionano Science & Technology and the Wyss Institute for Biologically Inspired Engineering at Harvard University (2015-18). He held the Institut National de la Recherche Scientifique (INRS) Chaire d’excellence Jacques­Beaulieu at the Centre for Energy, Materials and Telecommunications (2016-17) and was a Fulbright Specialist for the Czech Republic (2017). 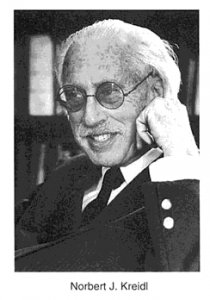 Weiss was a member of the U.S. National Committee to the International Union of Pure and Applied Chemistry (2000-05). He has been the technical co-chair of the Foundations of Nanoscience Meetings, thematic chair of the Spring 2009 and Fall 2018 ACS National Meetings. He was the senior editor of IEEE Electron Device Letters for molecular and organic electronics (2005-07), and is the founding editor-in-chief of ACS Nano (2007-). At ACS Nano, he won the Association of American Publishers, Professional Scholarly Publishing PROSE Award for 2008, Best New Journal in Science, Technology, and Medicine, and ISI’s Rising Star Award a record ten times.